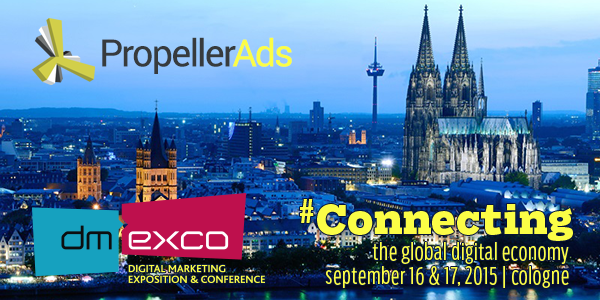 Join PropellerAds at dmexco in Cologne September 16-17, 2015! The dmexco is the international leading expo and conference for the digital industry. Placing a clear focus on advertising, creativity, branding, relevance and efficiency, the dmexco is no. 1 branch meeting place for marketers, publishers and advertisers. If you are looking for quality worldwide traffic for your campaigns or mobile apps, our team would be glad to provide you with information about our multi-channel advertising solutions.